If I had any doubts as to the need and urgency for NBA electoral reforms, those doubts have been completely erased by my recent experiences in the run-up to the 2018 NBA Elections. As is commonly known, I am contesting with two others for the office of the NBA President and as part of my consultations in the different Branches of the Association for votes, I was in Port Harcourt recently where my supporters had planned an interactive cocktail party for me at the NBA House. 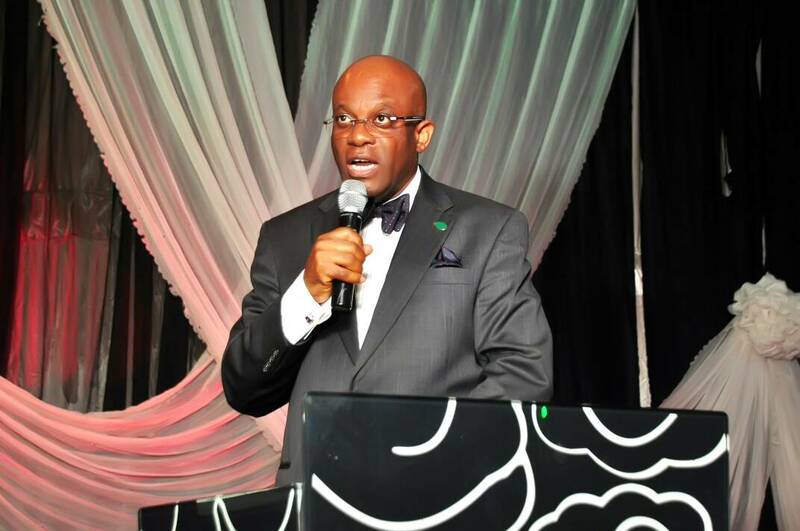 "Disclaimer: Pls note that the branch is not in approval of the cocktail invite from Paul Usoro, SAN at the NBA House. Pls discountenance same. However, you may attend at your own frolic for conviviality sake. PH branch supports the adopted candidate of the EBF. Thanks." I understand that, prior to the circulation of this malicious "disclaimer", there were unsuccessful direct and subterranean attempts to get the Branch Executive to resile on the rental contract in order to scuttle the event. It was after the failure of these attempts that the perfidious "disclaimer" was issued, not by the Branch Executive, but by some faceless cabal. Happily, the Executives and members of the Branch and beyond rightfully ignored this malodorous "disclaimer" and attended the cocktail party in their numbers and turned it more into a celebration of our presidential vision. The question that plagues my mind is, what level of desperation would drive lawyers to such electoral rascality, bare-faced misinformation, intimidation, bullying and hooliganism? What level of desperation would make lawyers discard and forget all about the hallowed constitutional rights and freedom of expression and association of their colleagues? What is in the NBA Presidential Elections in particular that makes some of us to behave the same as if not worse than the intolerant and totalitarian Nigerian political class that we routinely and roundly condemn and deprecate? What really is the difference between the faceless cabal in Port Harcourt that engineered the disclaimer and the political authorities in some States and even in the center who contrive ways of denying opposition political parties the use of stadia and other facilities for political rallies and conventions? Incidentally, that Port Harcourt incident is not isolated. I had some weeks earlier attended the Port Harcourt NBA's monthly Branch meeting and was graciously given the platform to felicitate with my colleagues and say a word or two about my Presidential plans. Just before I launched into my address, my good friend and colleague, a Senior Advocate of Nigeria, raised a point of order to the effect that the Eastern Bar Forum had adopted a candidate (I am, like thousands of lawyers from the eastern region, not a member of the EBF) and therefore I should not be allowed the platform to address my colleagues. Should you be wondering, like I did, at what forum I was, let me assure you that this wasn't a monthly meeting of the Eastern Bar Forum ("EBF") but a meeting of the NBA at the Branch level holding at the NBA House! Happily, wise counsel prevailed after a very respected past President of the Bar rose up in my defense to the applause and approval of everyone other than my friend, the mover of the point of order. It is not quite clear to me why the EBF and the supporters of its adopted NBA Presidential candidate are resorting to this low level of bullying and intimidation in an NBA Election. These, I must again point out, are not isolated incidents. In another State in the NBA Eastern Zone, a Branch Chairman who is an apostle of the EBF adoption connived with court officials to deny my supporters and I access to a courtroom where we were scheduled to have an interactive session. But for the timely intervention of a senior lawyer in government, we were almost forced to scout for an alternative meeting venue. I ask again, what is in these elections that drives leaders of the Bar to such desperation of wanting to forcefully muzzle contrary NBA political groups, opinion, thoughts and ideas? What is the driving force that makes us want to deny other lawyers the right of holding contrary political opinion and positions forgetting that our profession is itself anchored on plurality of thoughts and opinion and the freedom to express them in our adversarial submissions? "I thought that NBA politics is a fair game and not otherwise! To my dismay, I have received whole lots of taunts ever since the PUC dinner, merely because I support NBA's only best interest. God help us." He's not the only one who's been bullied in this manner; so many others of my supporters, particularly from a section of the NBA's Eastern Zone, send me similar reports of threats, intimidation and bullying tactics that are deployed against them solely because they speak up in my support. What kind of lawyers would taunt a colleague simply because he chooses an NBA political direction that is different from theirs? What has the NBA politics turned us into? How much longer before we start spilling blood in the name of NBA Presidential politics – because that's where we're headed! Really, what makes our colleagues so mindlessly desperate that we've forgotten all about democratic principles, anchored on freedom of choice, not to mention our respective rights to hold different political opinions and beliefs and belong to such political associations as we please? I truly believe that we must urgently address these issues and reform our NBA electoral processes if we must avert the imminent catastrophe of bloodshed and violence which stares us in the face. The current road that we travel leads to perfidy and we cannot continue on it. We must retrieve and restore our Bar values as learned friends and colleagues and maintain a professional friendship and brotherhood that abhors NBA political violence, rascality, bullying, thuggery, intimidation, blackmail and smear campaigns. We must return to the Bar values of political decorum, decency, empathy, tolerance and accommodation of diverse views and positions. Only by so doing can we restore our dignity as lawyers and set examples and standards for national politics and politicians. We can start that process by voting wisely come 27/28 July 2018.